As part of our commitment to ensuring a safe environment, Safeguarding God’s People is required training for all church leadership. 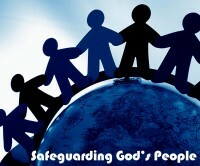 Any adult who works with children or youth is required to complete Safeguarding God’s Children. Training is available at congregations and diocesan settings, or online. While training is required for church staff and volunteers, we encourage all congregants to complete this program. Note: Safeguarding God’s People & Children must be taken every three years.